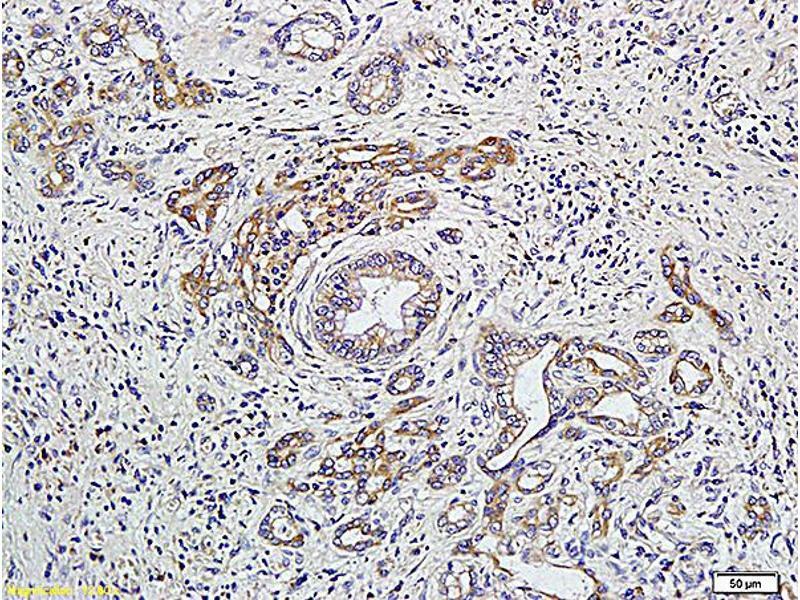 Formalin-fixed and paraffin embedded human colon carcinoma labeled with Anti-GNAQ/G? 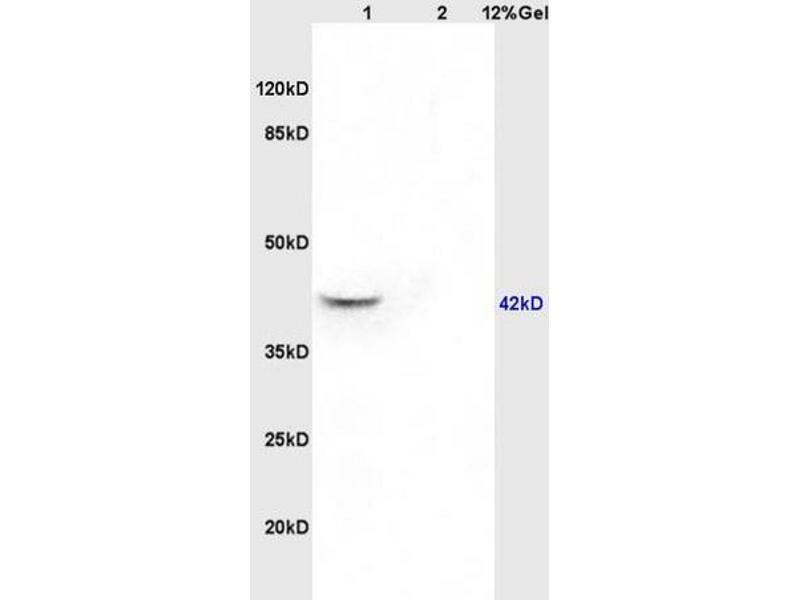 q Polyclonal Antibody, Unconjugated (ABIN763181) at 1:200 followed by conjugation to the secondary antibody and DAB staining. 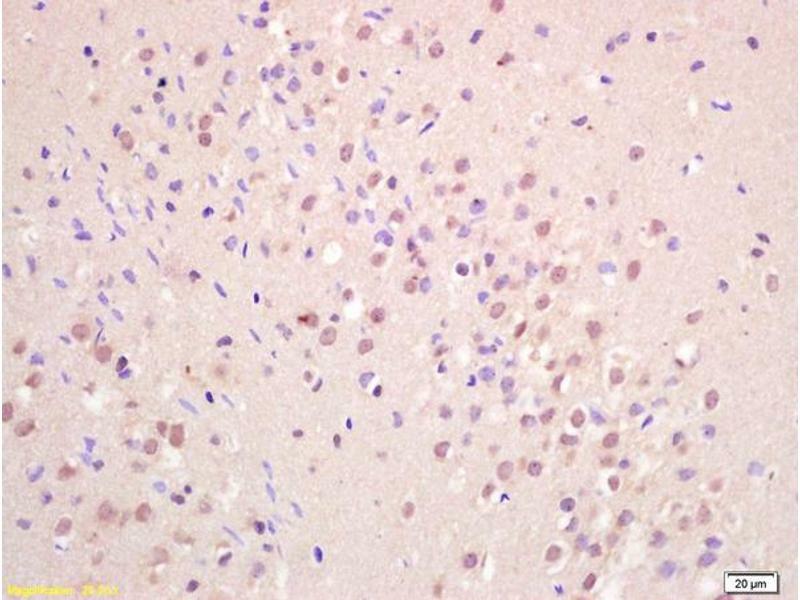 Formalin-fixed and paraffin embedded rat brain labeled with Anti-GNAQ/G? 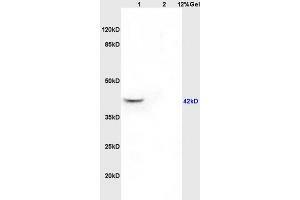 q Polyclonal Antibody, Unconjugated (ABIN763181) at 1:200 followed by conjugation to the secondary antibody and DAB staining. 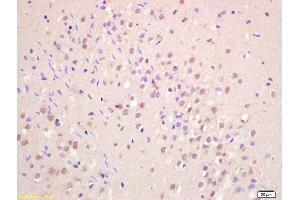 Lane 1: rat brain lysates Lane 2: rat kidney lysates probed with Anti GNAQ/G? q Polyclonal Antibody, Unconjugated (ABIN763181) at 1:200 in 4 °C. Followed by conjugation to secondary antibody at 1:3000 90min in 37 °C. Predicted band 42kD. Observed band size: 42kD. 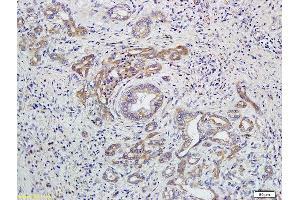 Formalin-fixed and paraffin embedded human colon carcinoma labeled with Anti-GNAQ/Gα q Polyclonal Antibody, Unconjugated at 1:200 followed by conjugation to the secondary antibody and DAB staining. Guanine nucleotide-binding proteins (G proteins) are involved as modulators or transducers in various transmembrane signaling systems. 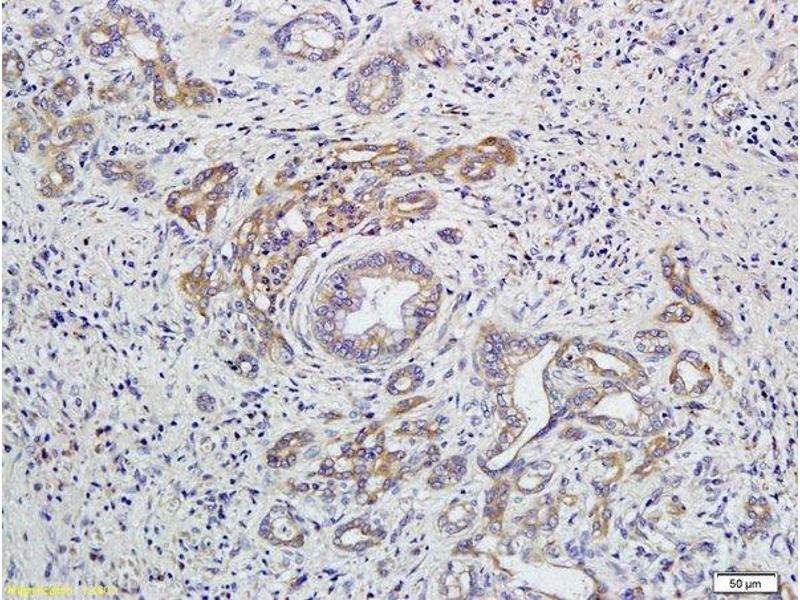 Regulates B-cell selection and survival and is required to prevent B-cell-dependent autoimmunity. Regulates chemotaxis of BM-derived neutrophils and dendritic cells (in vitro) (By similarity).